Rose and the rest of the people on the trip were forced to stay on the boat that evening because the seas were too rough to make it into the port. At 5:16 p.m. local time, a 7.6 magnitude earthquake rocked nearby Padang, Indonesia, according to the U.S. Geological Survey. The quake was 30 miles west-northwest of Padang, located in Sumatra. The city wasn’t out of the woods yet, as a 5.5 aftershock occurred 22 minutes later, this time 25 minutes northwest of Padang. The Indonesian government estimates that the quakes resulted in 1,195 deaths and significant damage to approximately 140,000 houses and 4,000 buildings. The hotel Rose and his fellow passengers were scheduled to stay at was reduced to mere rubble. Instead of continuing his original plan of traveling to Bali, Rose, who was unscathed from the catastrophe, traveled inland to distribute the filters where they were needed most. The incident turned a self-proclaimed “pet-project” into an obsession. Initially founded to provide a way for travelers to aid the communities they love so much, Waves For Water aims to help end the clean-water crisis around the globe. The non-profit organization has touched more than seven million people in more than 27 countries worldwide, including Sierra Leone, Haiti, India, Colombia, and Brazil. 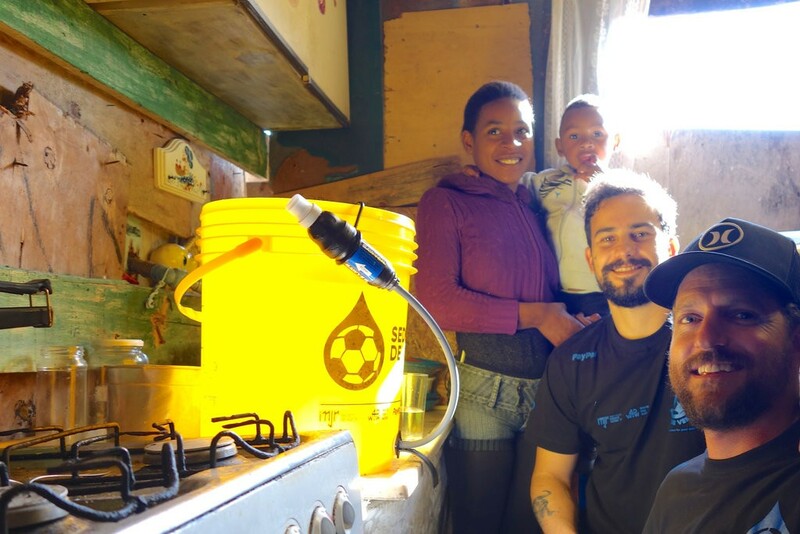 Waves For Water not only responds to global disasters such as tsunamis, hurricanes, and earthquakes—it also has long-term programs in place to improve clean water availability and quality in impoverished areas. Waves For Water, which began as a way for surfers to give back to the various communities they interact with when traveling the world searching for the best waves, has since become a global initiative. Rose says focusing on the clean-water crisis can be attributed to his father. In 2004, Jack Rose founded RainCatcher, a non-profit organization committed to providing clean water—through catching and filtering rain water—to regions and the world. Waves For Water has active programs in 17 countries, and was recently featured in a documentary on Red Bull TV. The 52-minute film titled Waves For Water was released March 22 to coincide with World Water Day, a yearly United Nations initiative focused on tackling the global water crisis. The National Hockey League selects three stars each week and each month, as a way to highlight the best individual performances during a given time period. Three stars are picked out after each game as well.